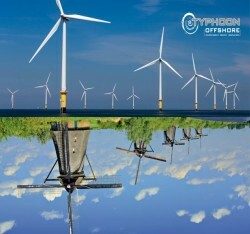 Typhoon Offshore is the Independent Energy Innovator with a unique expertise in offshore Wind. We are active in the European arena since 2010, and focus exclusively on the North Sea. We bring offshore wind from concept to reality. Where developers focus on the consenting phase of offshore wind projects, we bring these projects to a point where construction can begin. More specifically, Typhoon Offshore acquires permitted offshore wind projects and subsequently arranges all the contracting, structuring and financing to enable the offshore wind project to transition from paper to real spinning and electricity generating assets. Typhoon Offshore is currently developing project Gemini. The largest offshore wind farm in the Netherlands. The total 600MW of installed capacity will produce electricity for over 785,000 households /1,540,000 habitants per and equals a reduction in emissions of 1,250,000 Tons of CO2.